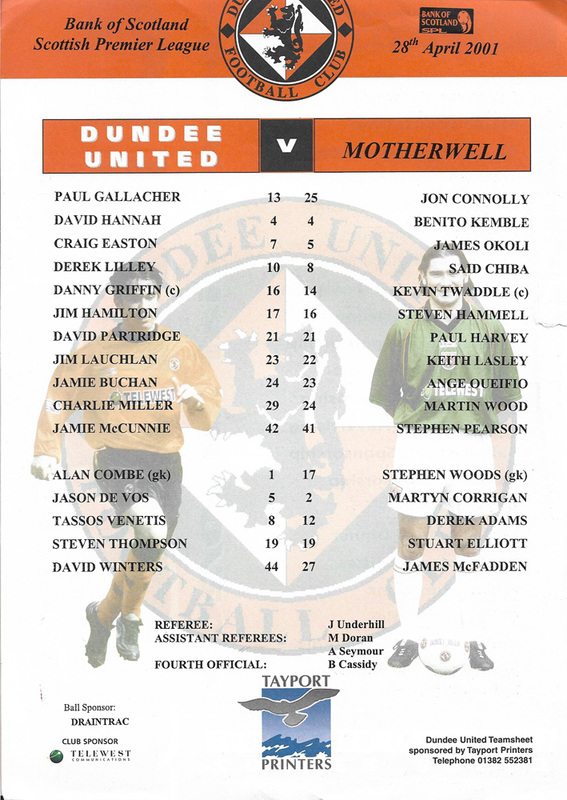 With Motherwell fielding a young side. there were several unfamiliar names in their line-up, but there was no way they could be underestimated. They certainly started confidently, forcing three corners in quick succession although United were able to clear the danger without too much trouble through Buchan. In the 7th minute Lllley almost made it a great start for the home side when he just failed to connect with a fine Miller cross. Just four minutes later, Hamilton was fouled on the edge of the box and the home support were full of anticipation as dead-ball expert Danny Griffin (captain for the day) stepped up, but he curled his right toot shot well over the bar. The visitors went close In the 14th minute when Chlba found Twaddle with a through pass and the tail striker chipped Gallacher, but the ball went wide of goal....much to Unlted's relief. For the remainder of the half the tangerines were in almost total control, going close on several occasions. In the 31st minute Buchan just failed to control in the box after a very neat move between Miller and Easton. However, Buchan was to more than make up for that five minutes later when he scored a truly magnificent goal, to put his side into a vital lead. 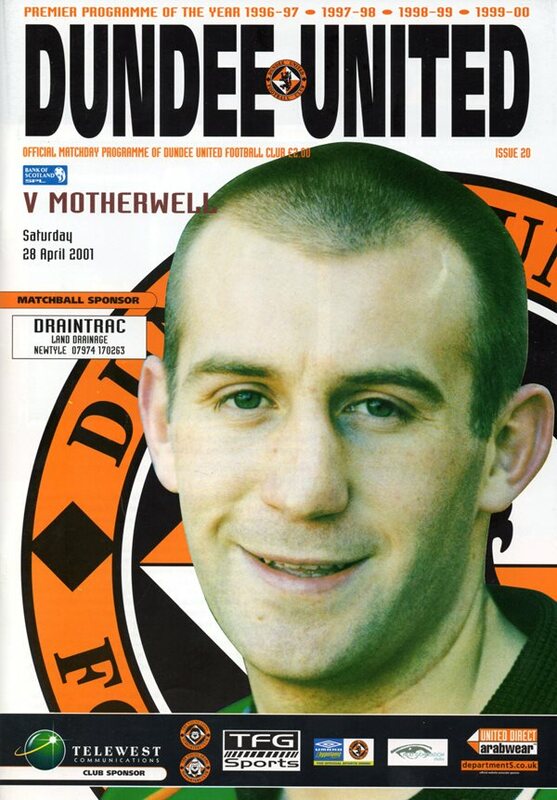 Jamie Buchan collected a loose ball in the centre circle and raced at the Motherwell defence, skipping between two players before unleashing an unstoppable shot past debut keeper Connelly from fully 35 yards. It was Jamle's first goal for United and what a way to celebrate it. United had a great chance to go 2-0 only five minutes before half time when Hamilton dummied a McCunnie through ball into the path of Lllley who shot straight at the keeper when he perhaps should have done better. The second half was very much a case of the same with United carrying the threat and going close through Hamilton in 49 minutes with a long range chip which just cleared the crossbar. The main talking point came in the 57th minute when Motherwell's Nigerian defender Okoll was sent off for what appeared to be throwing a punch at Miller, who was booked for his part in the scuffle. 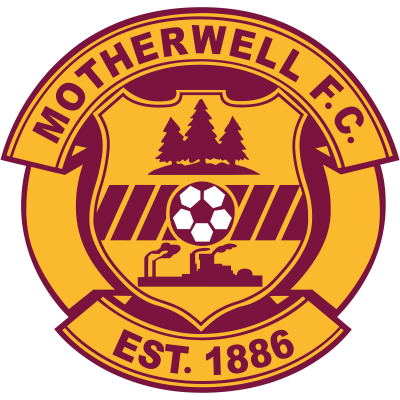 There was a scare for the home side in the 69th minute when Twaddle fired just wide from the right side of the penalty area after a fine move from Motherwell. In an attempt to seal the match Smith made three substitutions in the last fifteen minutes with Venetls, Thompson and young Winters replacing Miller, Hamilton and Lilley. Motherwell played well In the last quarter of the match, despite being down to ten men and this ensured a nervy ending to what was a vital match for United. They held on to collect three deserved points and maintain their lead at the bottom of the SPL. For goalscorer Jamie Buchan, his superb match-wiiining strike capped what was a Man of the Match performance in his more favoured midfield position.